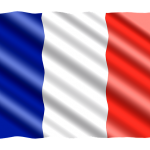 With our itinerant shows, Paris comes to your doorstep ! ! ! An authentic Parisian revue as if you were there. 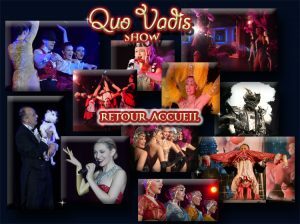 Quovadis Show presents to you a vast array of complete itinerant shows that will fill your stage with crowd-pleasing entertainment. Featuring either large or small casts that compliment your venue’s demands and capabilities. Magical shows that will transport your audiences into the universe of the Parisian cabarets. Discover the beauty and charisma of our glamourous show girls. Dressed in sumptuous costumes of extravagant feathers, rhinestones and sequins, these girls will be the highlight of any event, creating memories you will never forget. We create amazing and memorable experiences, you’re sure to find the perfect show to bring family, fun, and excitement to your next event. 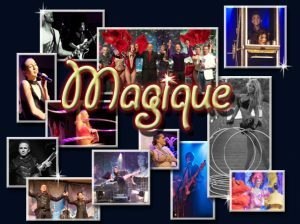 If you’re looking for a wow-factor show, to have your guests on the edge of their seats then look no further. Improvisation, quick witted wise cracks and crowd participation create a unique atmosphere that leaves audiences both in amazement and hysterics. 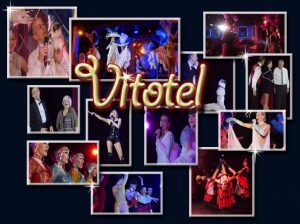 A lively show with an amazing French CanCan, lots of fun and laughter guaranteed. You will find something to suit all occasions and audience age groups. 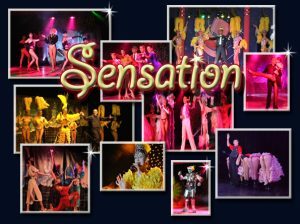 Watch your audiences eyes as they look in awe and pure amazement at our maginifcent performers. Get ready for an evening of feathers, a traditional French cancan and glitz à la mode de Paris! We can, on your request and according to your budget, upgrade and integrate some of our speciality acts. 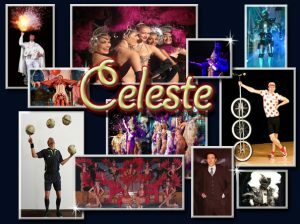 Giving you a bespoken show designed to leave audiences wide-eyed with unique performances that will capture their imagination and win the hearts of your guests. Professional performances tailored to your requirements, with or without sound and light technology. « Contact us today ». You’ll receive, a no-obligation quote specific to your event. We’ll help you select the perfect show tailored to your entertainment requirements.